In response to many requests, we have just added the ability to sort on Input Lag to the Projector Database. Custom Sort Range: Additionally, you can enter whatever custom Input Lag range you want with the "___ to ___ ms" option. Once you select a particular Input Lag range, the Database will report which models we current know have a minimum input lag in your desired range. You can see the actual lag data as a new line item in the details specs for each model in the search results returned to you. 1. This is a new feature. Currently we have loaded about 100 projectors that we've taken lag measurements on in reviews and road tests including many of the most popular consumer models. Basically, this new sort saves you the time of going through each of the reviews to find the input lag data for any given model. 2. Manufacturers do not typically publish Input Lag as a spec, so we cannot populate the Database with data supplied by manufacturers as we do with all other projector specifications. We will continue to add new Input Lag data as we review new models, and as manufacturers are able to supply input lag data on their current products. 3. Input lag usually varies based on the way any given projector is configured. A projector might have a Game mode that produces 25 ms lag, a Cinema mode that is 50 ms, and a Cinema mode with Frame Interpolation that is 100 ms. In ALL cases we are publishing the Minimum Input Lag that we measure, since that is the number most consumers interested in rapid gaming response are looking for. 4. Currently all Input Lag data is based on a 1080P input signal. 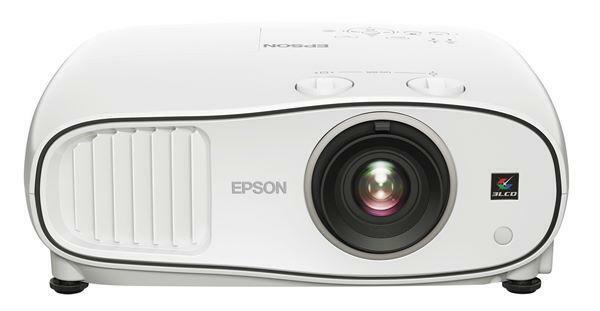 For 4K enabled projectors, the Input Lag for a 4K signal is different than a 1080P signal. As an example, the Sony VW285ES has a 36 ms lag on 1080p and a 55 ms lag on 4K signals. At the moment we have not yet collected much 4K input lag data so adding a sort on this parameter makes no sense. But once we collect enough data on 4K models we will add a 4K Input Lag sort option as well. 5. The Projector Specification pages will now carry a Minimum 1080P Input Lag field in the top section. For example, we just completed a Road Test of the ViewSonic PS750HD, a 1080P Ultra Short Throw projector with a measured input lag of 17 ms. You can see that data now appears in the top section of the yellow box on the PS750HD spec page, opposite the Projection Calculator link.